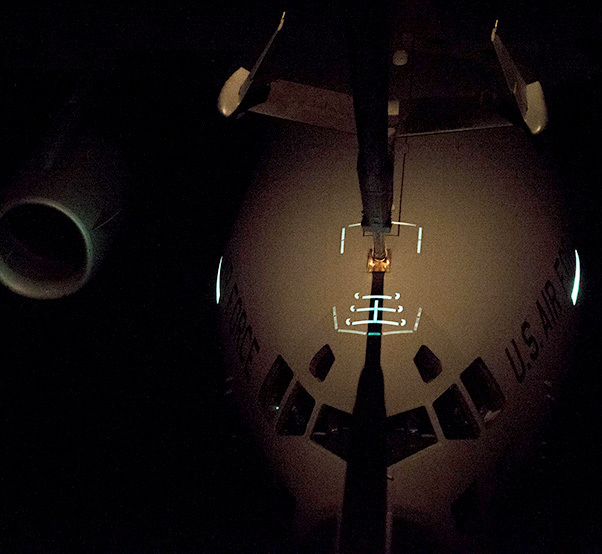 A C-17 Globemaster III receives fuel from a KC-10 Extender while flying over the Atlantic Ocean during Trident Juncture 2015, Nov. 3, 2015. Without the refueling capability of the KC-10, the C-17s would not have enough fuel to make it all the way to Spain from the United States. Eight KC-10 Extenders, including two from the 32nd Air Refueling Squadron, refueled seven C-17 Globemaster IIIs over the Atlantic Ocean as they participated in the Trident Juncture exercise Nov. 3. Trident Juncture included 36,000 personnel from more than 30 nations and demonstrated NATO’s increased level of capabilities in joint modern warfare. The 32nd ARS’s aerial refueling capabilities made it possible for the C-17s, carrying more than 500 paratroopers from the Army’s 82nd Airborne Division, to reach Spain without stopping. The Air Force has more than 400 tankers capable of refueling U.S. and coalition aircraft. 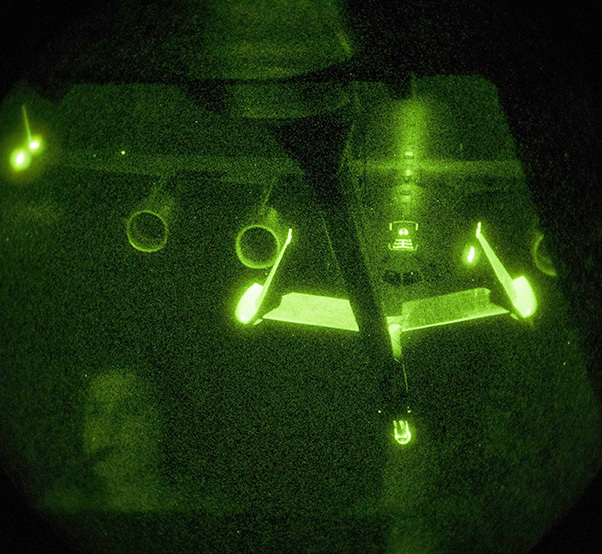 A reflection of A1C Amy James, a 32nd Air Refueling Squadron boom operator, is shown while she refuels a C-17 Globemaster III over the Atlantic Ocean during Trident Juncture 2015, Nov. 3, 2015. Without the refueling capability of the KC-10, the C-17s would not have enough fuel to make it all the way to Spain from the United States. The ability to move forces and equipment anywhere in a matter of hours is instrumental to the collective defense of NATO and other partner nations. “We are able to support combatant commander requirements worldwide by enabling assets to reach their destination as quickly as possible,” Ehresman said. Without air refueling, he added that the C-17s couldn’t go directly to Spain and fighters would have much more limited time dropping ordnance downrange before landing to refuel.